As a Bozeman nutritionist, can help you prevent and resolve chronic health problems through the use of custom nutrition, supplements and herbs. I respect you and your health issues and formulate a personalized protocol. As a Bozeman Clinical Nutritionist, I use, if indicated, laboratory assessments to help customize your nutritional protocol. I assess your dietary habits and provide you with knowledge and motivation to implement your personalized dietary recommendations which speed your recovery and promote wellness. I can guide you through the nutrition, diet, and supplement information and disinformation maze. As a Bozeman Chinese herbalist, I use a comprehensive Chinese Assessment to evaluate your symptoms and signs within the total context of you and your lifestyle. As a Bozeman Nutritionist, I gather base-line data and together with in-depth sessions, I create an individually tailored, typed-up Nutritional protocol. 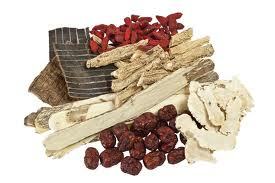 As a Chinese herbalist, I create a customized Chinese herbal formula to better assist you with your overall health. As a Bozeman Chinese herbalist, I offer affordable Chinese Herbal Formulas which include biweekly reassessments of the overall effectiveness of your customized formula in support of your overall health. During the Chinese Herbal assessment, I determine which type of herbal formula is appropriate for your constellation of symptoms and signs. The formula assists your body-mind to heal, and is taken only temporarily until the imbalance is resolved. Herbs are never given for one specific symptom. That approach can cause side effects. In Chinese herbology, each symptom means little by itself and acquires meaning only in relationship to your other symptoms and signs. Therefore, a particular symptom in one context does not necessary mean the same thing in another context. 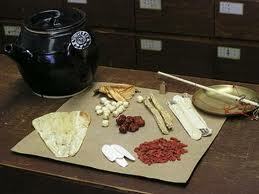 These principles are unique to the traditional Chinese Herbal assessment technique. A Chinese assessment includes, but is not limited to, the following: your overall vitality, thermal perceptions, perspiration and respiration patterns, food and fluid intake, urinary, bowel and reproductive patterns, respiratory and skin conditions, pain assessment, sensory perceptions, sleep patterns, and your predominant personality and moods. In conjunction with a tongue and pulse analysis, this information is used to create your customized Chinese herbal formula. I am a nutritionist in Bozeman licensed by the Montana Board of Medical Examiners to practice as a Clinical Nutritionist. I obtained my Bachelor in Nutrition at Montana State University, and my Master of Science in Clinical Nutrition at Loma Linda University in California. 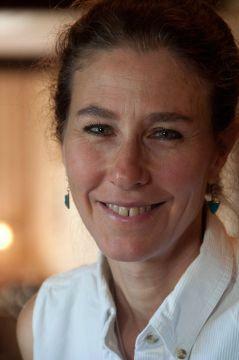 As Bozeman nutritionist, I can perform nutritional, gastrointestinal, hormonal, metabolic, immunological, and neurotransmitter assessments and give targeted nutritional recommendations. I am Bozeman Chinese Herbalist and I received my Chinese Herbalist degree from the Rocky Mountain Herbal Institute which is located in Hot Springs Montana. As a nutritionist in Bozeman, Medical Nutrition Therapy (MNT) can be covered by your insurance, often it has to be medically necessary, but some times preventative nutrition is covered. It all depends on your particular coverage. Medicare Part B covers Medical Nutrition Therapy offered by a nutritionists in Bozeman for diabetes and kidney disease. Medicaid covers Medical Nutrition Therapy from birth through age twenty offered by nutritionists in Bozeman. As a Bozeman nutritionist, I am a preferred provider with Medicare Part B, BCBS Medicare, Blue Cross Blue Shield, Healthy Montana Kids (HMK), HMK Plus, Allegiance/Cigna, Pacific Source, Aetna and First Health Choice. I can become a preferred provider with new insurance programs. 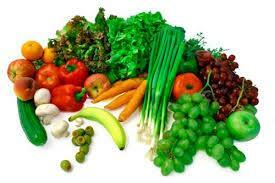 Medical Nutrition Therapy aims to uncover the nutritional and metabolic imbalances behind your health issues. Medical Nutrition Therapy can augment conventional medicine by improving the therapeutic effect and by decreasing unwanted side effects. Medical Nutrition Therapy promotes a healthy diet as the foundation, while supplements are used to support specific health issues and promote healing. Nutritional supplements can be used to promote healing and optimize specific physiological processes. They can include vitamins, minerals, amino acids, essential fatty acids, co-factors, enzymes, whole herbs, herbal extracts, probiotics and prebiotics. Nutritional supplements often have therapeutic quantities of specific nutritional support factors over and above what can be naturally found in normal quantities of food.